This home features an open floor plan with three bedrooms and Three Full Baths! Lower level has rec room and 2 car garage. 256 ft. of main channel frontage with boat dock, party deck and floaters where you can catch stripers right off your dock while enjoying the most beautiful sunsets you will ever see. A new Lennox 21 sear HVAC was installed in 2015. Home also features stainless steel appliances, new basement flooring, garage doors, french doors and other updates. 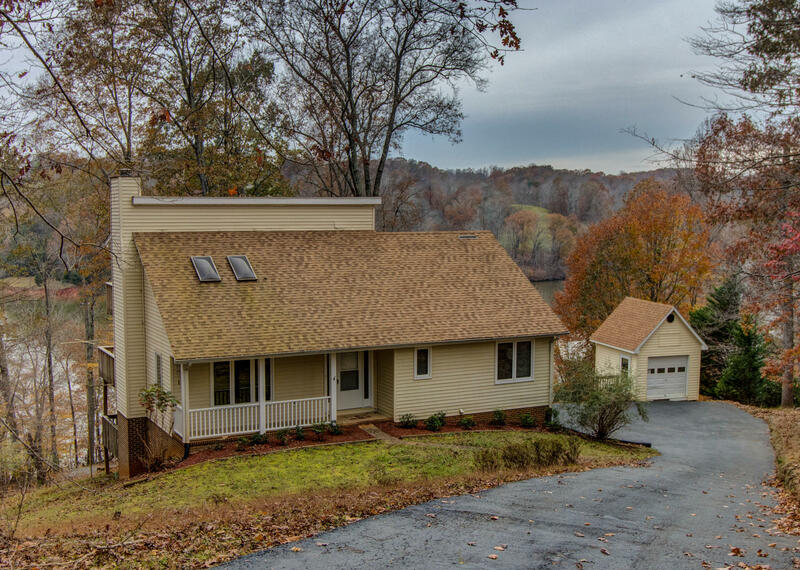 Minutes from Roanoke it is the perfect location for the working family or retired folks looking to be close to shopping and health care.The sellers are motivated to see you in your new home.